We hear so much about incorrect pencil grips these days. What is the cause for all of this trouble? Some hypothesize it is the technology children use at younger and younger ages. Others suggest we put writing utensils in the hands of children before they are ready to manipulate pencils, crayons, and markers. Likely, in our “hurry-up” society, it is a combination of these and other factors. What we do know is that kindergarten teachers ask that children entering school be more adept with fine motor skills. How can we do this? Our response is to help children develop fine motor skills naturally: through play and exploration. As children enjoy the out-of-doors, encourage them to use a pincer grasp (thumb and pointer finger) to pick up materials to investigate. 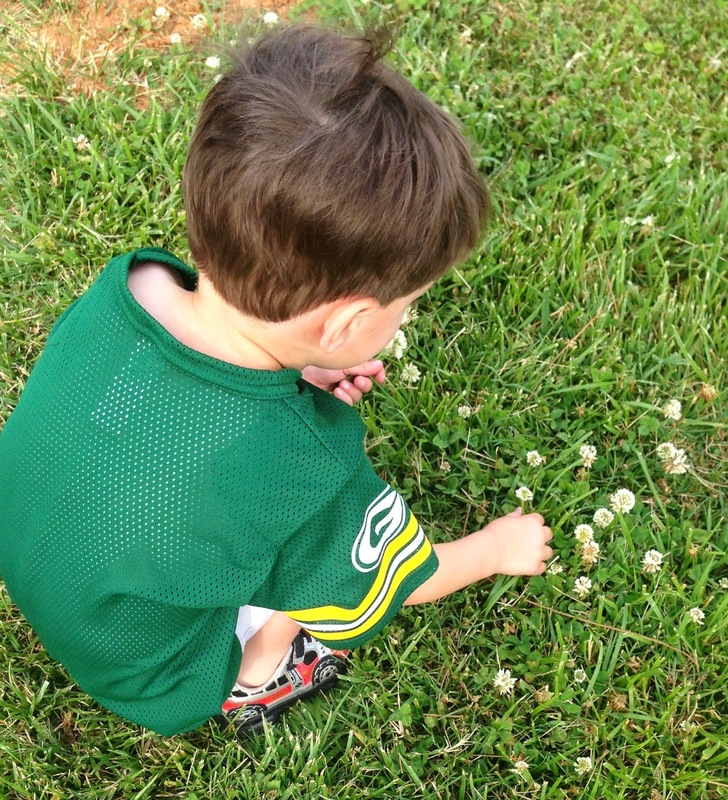 Using a pincer grasp to explore nature! Of course, using the term pincer grasp is not necessary. Simply model the grasp for your child. 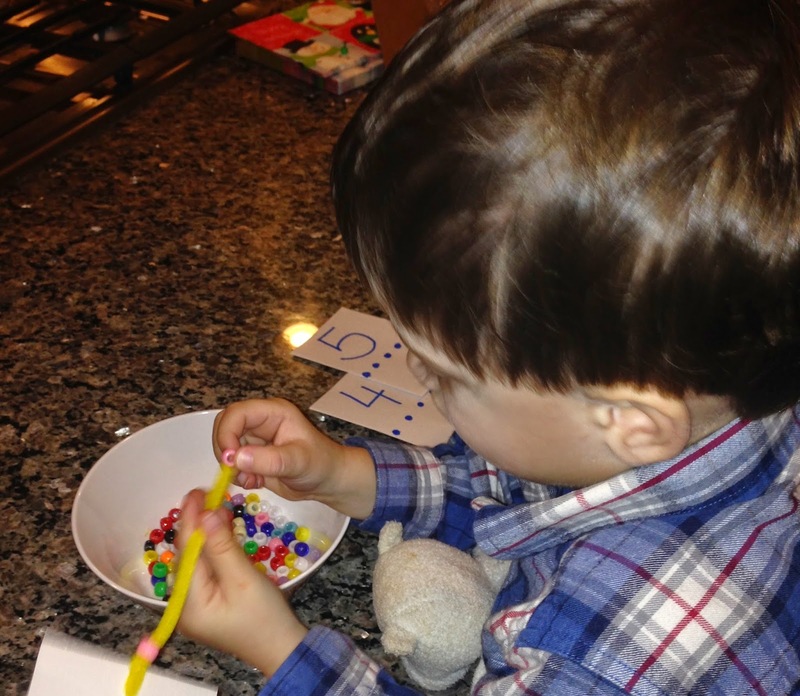 There are other playful and age-appropriate ways to develop fine motor skills. Making objects with play-doh helps develop all hand muscles. Tearing scrap pieces of paper to make a picture collage is another helpful project. As we have previously discussed, threading beads onto a pipe cleaner or even yarn can develop the muscles necessary for a proper pencil grip. These are all preschool appropriate activities. Art activities are necessary to help children develop school readiness skills. Always fun and important is the exciting hole punch! We find children love to punch holes in paper. Think about the muscles that are being strengthened as children punch away. You can even collect the small holes to make an art project. 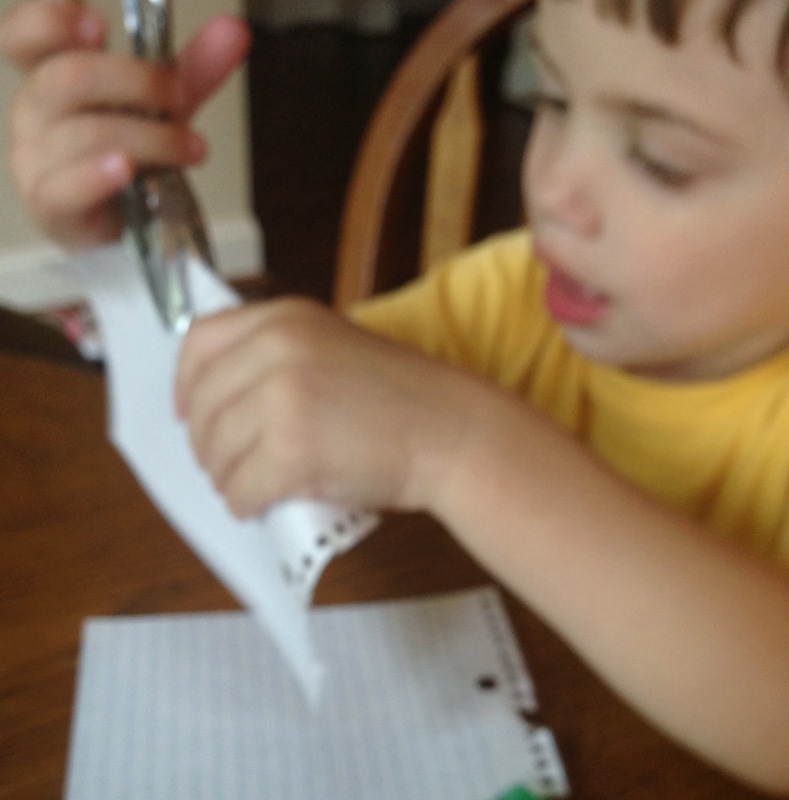 This child is just learning to use a hole punch. Later his hand muscles will be stronger and he will use just one hand. It’s not just the hand muscles that need to be developed. Strong arm muscles help children control their hand movements. 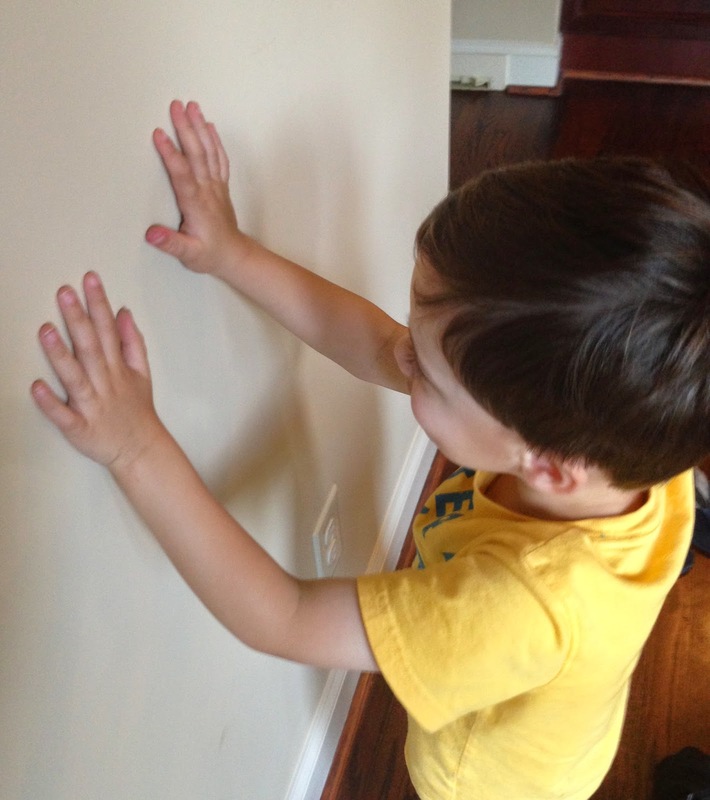 Children can do wall “push-ups” by facing the wall, putting their hands on the wall and pushing back and forth. These wall push-ups strengthen all the muscles necessary for pencil control. And – be sure to have fun while doing this! Children can sing and move at home. If it’s a preschool activity, this is a wonderful way to help children form a line. Ask them to do wall push-ups while waiting for the class to get ready for a new activity or while waiting in a hallway. Singing and dancing make exercise age-appropriate for children! The key to a good pencil grip is to strengthen muscles in an age-appropriate and appealing way.